What does the 5% Page Coverage Actual Means? As a seller, one of the most common questions of the customer is that “why your toner cartridge printing volume is not up to the page yield shown on your web page?” Many people may not know that the number of printed pages of toner cartridges depends on the amount of coverage they print. Some people don’t realize that there is a prerequisite for the number of printed pages on our pages – that is 5% page coverage. Many people don’t know what the “5% page coverage”. They only think that the products they purchase from my website do not meet the standards the web page display. As a seller, it makes me really worried, but it is difficult to explain to customers. So I write this article to let the all of you in need read, can save time to explain over and over again, can make a cup of coffee, enjoy life. 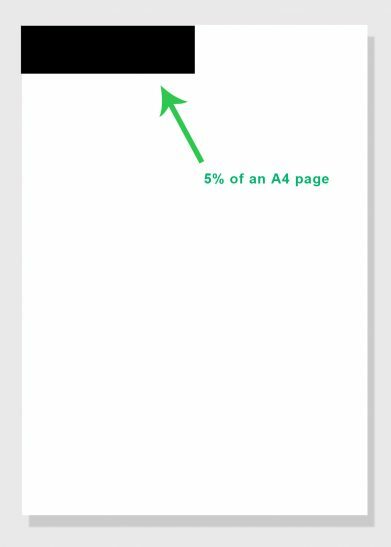 What does the printer’s “5% page coverage” mean? More specifically, “Coverage” refers to the percentage of the area covered by ink relative to the area of the whole sheet of paper when printing. Therefore, 5% page coverage refers to the area covered by ink after printing, but does not mean how many words or pictures can be printed. At present, the standard of 5% page coverage (black) and 15% coverage (red/yellow/blue) are widely used in the industry as the preconditions for printing sheets of black and color cartridges, respectively. The above picture shows that what is the 5% page coverage. It is usually determined by the density, size, height and font of your input text. If you add charts, it will usually exceeds 5% page coverage. Besides, if you use the hp 410a toner cartridges print only black and white Word documents and emails, you are more likely to be close to the 2,300 page than other people who use the same cartridge but print a large number of color documents (including images or shadow blocks) every day. 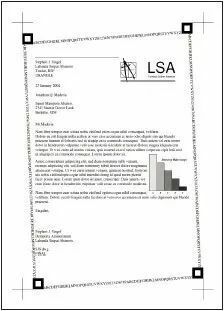 So, there is no way to ensure that we print at 5% coverage per page, which may lead to the number of pages that we end up printing deviating from the standard number displayed on the web page. So if your tone cartridge doesn’t reach the number you expect to print, it’s not necessarily a problem with the toner cartridge. It may also be that you print more than 5% coverage per page. If you print a large number of pictures and charts over a long period of time, the number of pages you print may still be less than half the standard. If you recognize this point, you will not think this is a big problem. If you want to save more money on toner cartridges, I suggest you buy high quality compatible toner cartridges, you can save 1/3 of the money compare to the original. Finally, I hope you can apply what you have learned and share it with your friends so that more people can benefit from it. Author adminPosted on November 14, 2018 Categories Toner Cartridge for printerTags hp 410a toner cartridges, toner cartridgesLeave a comment on What does the 5% Page Coverage Actual Means?